The Poplar Hawkmoth, Laothoe populi, is a member of the large Sphingidae family of Hawkmoths. The moths have a wingspan of approximately 100mm and unusually for a Sphingid hold their hindwings above the forewings when at rest. Poplar Hawkmoths fly mostly in a single generation in late Spring and early summer. A small second generation can occur in warmer regions. Both male and females are attracted to light. The photographs of Poplar Hawkmoths featured were taken in South West England. 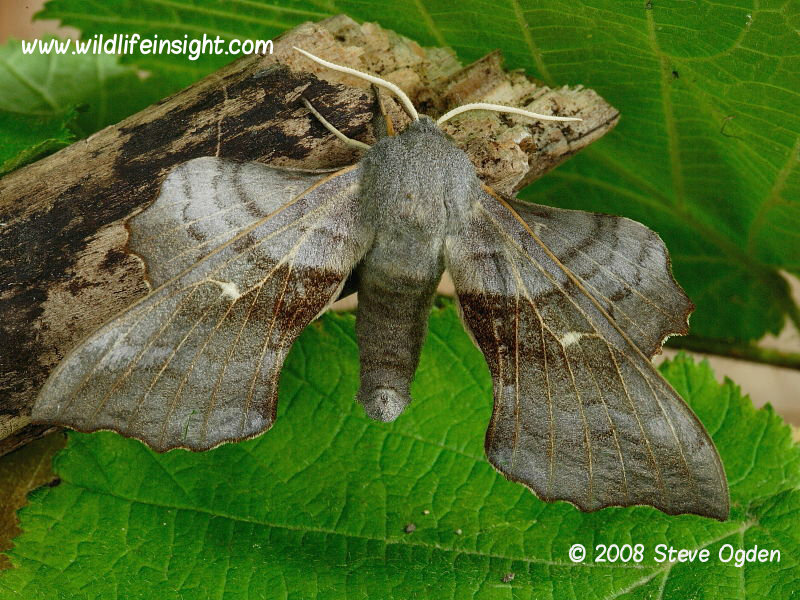 Other common European Hawkmoths include the Privet Hawkmoth, Eyed Hawkmoth and Lime Hawkmoth. Larval foodplants include Poplar, Apple, Sallow and Aspen – see below Jim Porter book reference. 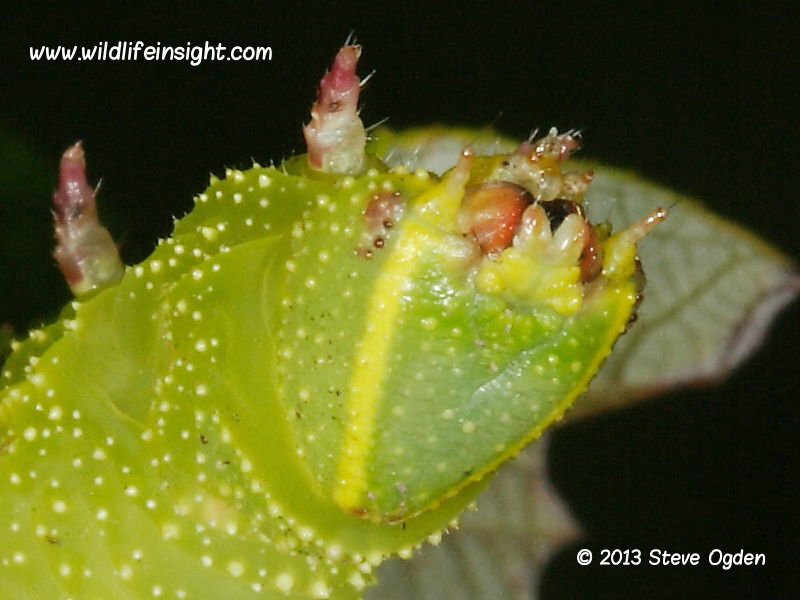 The caterpillars grow to approximately 70 mm and are generally subtle shades of yellow and green. 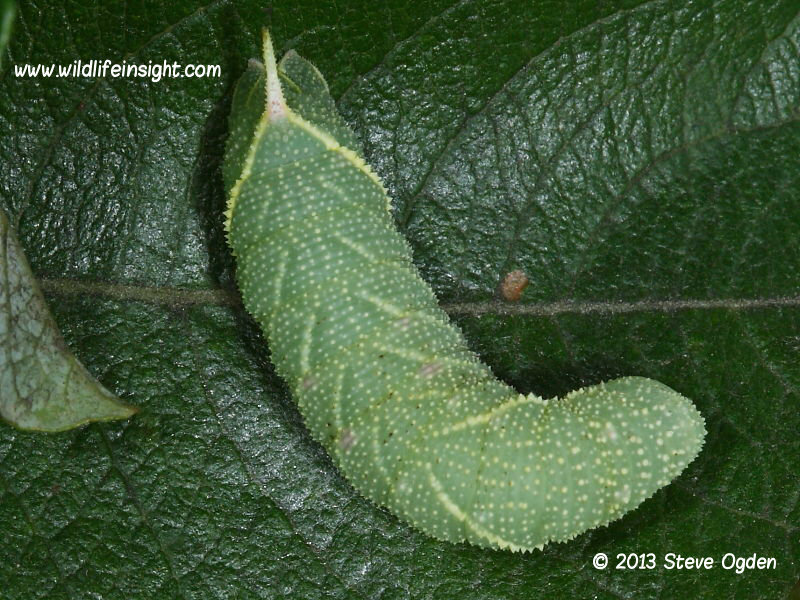 Pale yellow stripes, reddish spiracles and yellow tail horn can help identify from similar Lime and Eyed Hawkmoth caterpillars. Other common larval forms with small pink/reddish blotches are shown in the photos below taken by Ellie Needham and Mary Rose. Other photos shown are of caterpillars reared from eggs laid by a female Poplar Hawkmoth attracted to light in South West Cornwall in the UK. 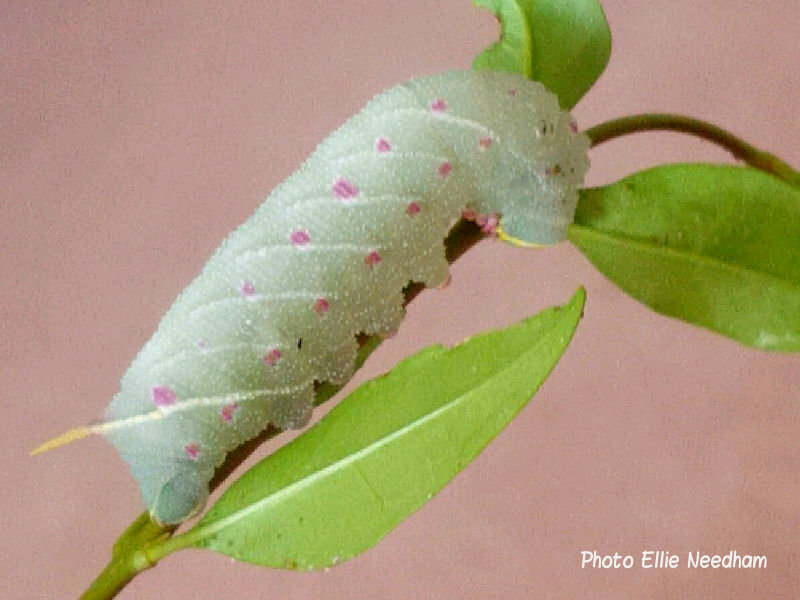 Other commonly sighted Hawkmoth caterpillars in the British Isles include the Privet Hawkmoth, Eyed Hawkmoth and Lime Hawkmoth.